contains over 90 nutrients, 36 anti-inflammatories and 46 antioxidants. A few months ago while doing research, I came across information about a tree called Moringa Oleifera. I was intrigued by the many benefits associated with this tree. The leaf and its uses in particular, is what got my attention. I’ve been using 2 tsp. per day for the past 5 months and I have shared this product with other people. Blood sugar level is much more stable throughout the day. Inflammation from a serious accident is subsiding significantly after 1 week of 1 tsp. 3x per day. Acupuncturist commented on client’s significant improvement over the one week period. Swelling and inflammation had receded. Sleeping better and if awakened, go back to sleep quickly. Previously person would often have many sleepless hours once awakened. Am losing weight and loving it. Restless Leg Syndrome is now a rare occurrence since taking Moringa Leaf Powder, and when it does act up it is much less severe. Leg cramps at night are pretty much gone. Nervous system is much calmer day and night. Hip pain from rock climbing has subsided significantly. Muscles recover faster after exercising. One day while working in the garden, one of my fellow gardeners whose home is in Nigeria, started talking to me about Moringa. 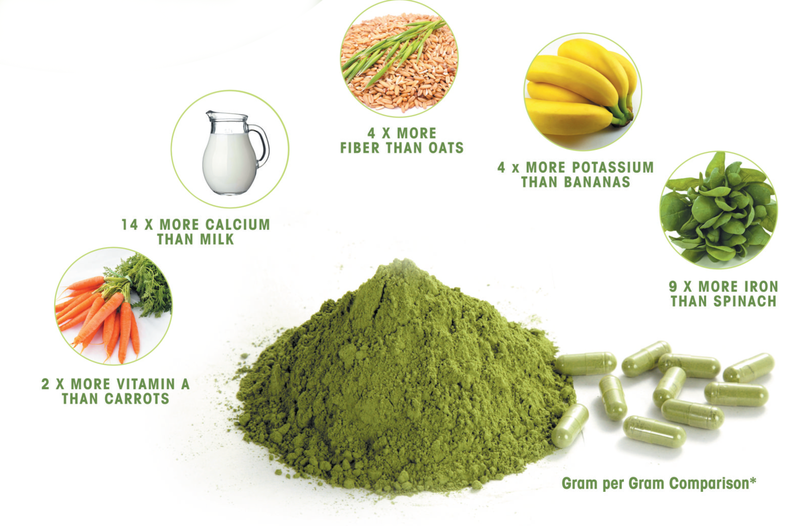 I had just started using Moringa Leaf Powder and had never had anybody talk to me about it before. He and his wife live in Nigeria. He came to Canada to earn his engineering degree. In their little home in Nigeria he and his wife have a garden. In the garden they have a Moringa Tree. They regularly harvest and dry the leaves and always have a ready supply for daily use. Since his stay in Canada would be lengthy, he took enough Moringa Leaf powder with him to last him for many months. I listened as he told me about all the wonderful benefits of the Moringa Leaf powder and how they would never want to be without it. He mentioned that in their country it is used to help regulate blood sugar in diabetics. In Africa, if someone has a Moringa Tree, they are looked upon as “blessed”. He says, “Here (Africa) it is known as “The Miracle Tree”. Moringa is called “Nebedaye”, which means “never die” In many African languages. 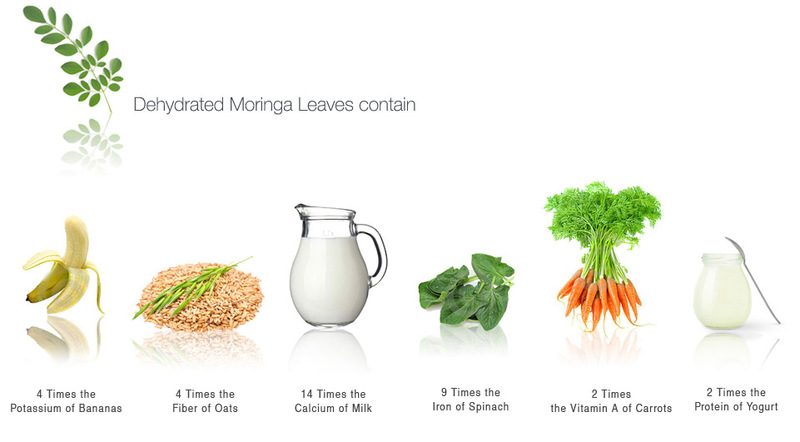 The Moringa plant is native to Northern India, where it was first described around 2000 BC as a medicinal herb. The Moringa tree spread eastward from India to the lower parts of China, Southeast Asia and the Philippines. From India It also spread westward to Egypt, the Horn of Africa, around the Mediterranean, and finally to West Indies in America. Ancient Egyptian treasured Moringa oil, using it as protection for their skin from the ravages of desert weather. Later, the Greeks found many healthful uses for Moringa and introduced it to the Romans. On the Island of Jamaica in 1817, a petition concerning Moringa oil was presented to the Jamaican House of Assembly. It described the oil as being useful for salads and culinary purposes, and being equal to the best Florence oil as an illuminant – giving clear light without smoke.